In a year when hedge fund traders (or at least those of them who are still employed) expect double-digit raises despite the industry posting its worst annual return since 2011, one would think bankers, who didn't have the best year themselves (a paucity of deal flow, still-low interest rates and an inability to capitalize on volatile markets offset some of the profit boost from the Trump tax cuts) might hold out hope for a little extra thickness in those year-end envelopes (metaphorically speaking, that is). For the most part, they won't be disappointed. As we pointed out last month, everyone at America's largest banks, from traders to underwriters to dealmakers will likely receive a larger bonus this year. 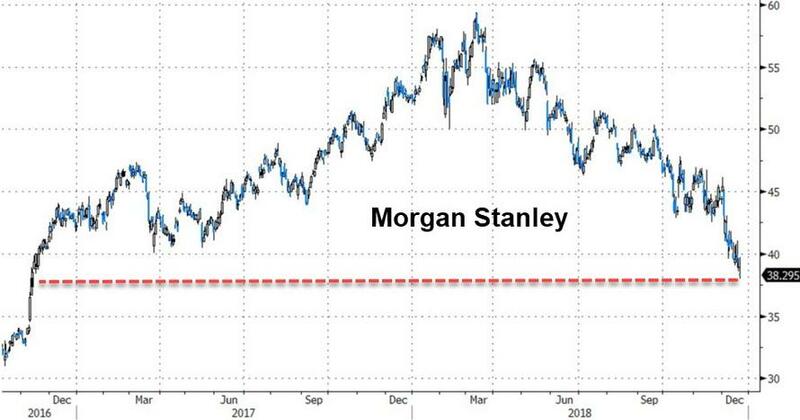 But offering some insight in to how the market downturn in the fourth quarter has already blunted these expectations, Bloomberg reported on Friday that bankers and traders in Morgan Stanley's institutional securities group should expect a bonus boost in the "low-to-mid" single digits. 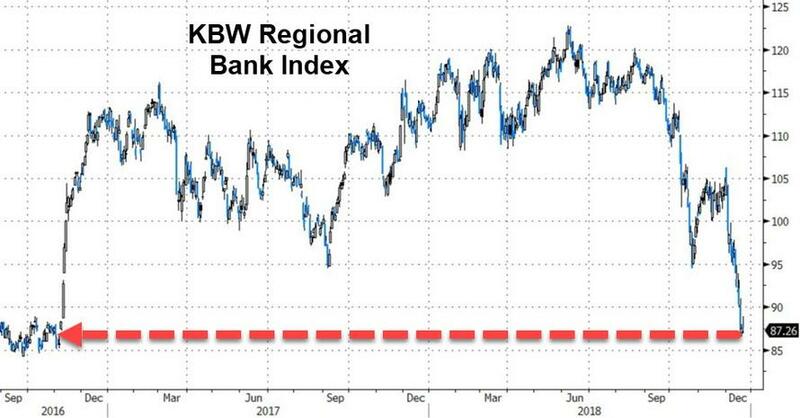 ...as the regional banks saw their shares erase all of the Trump bump. Morgan Stanley is planning to increase bonuses for dealmakers and traders, businesses that are on pace for a bigger revenue jump than at the firm’s rivals, according to a person familiar with the matter. Percentage increases for Morgan Stanley’s institutional-securities group will be in the low-to-mid single digits, said the person, who asked not to be identified discussing pay matters. The decision isn’t final and will still have to take into account the division’s performance in the last few weeks of the fourth quarter, the person said. Morgan Stanley’s plans represent a brighter outlook for pay than what’s expected more broadly across Wall Street. Recruiting firm Options Group predicted in a report last month that equity traders would get a slight bump in compensation, while bonuses for fixed-income traders drop. Investment bankers were expected to see little change, according to the report. 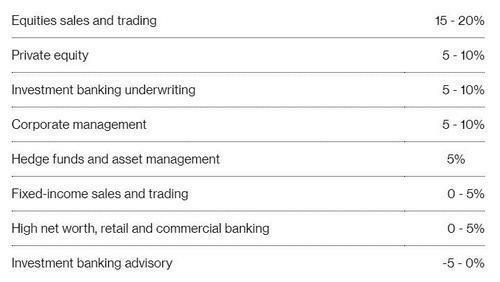 Revenue from investment banking and trading rose at most firms in the first nine months of the year, with Morgan Stanley’s 17 percent jump topping most competitors. The fourth quarter has been more challenging, as banks grappled with violent market swings, trade tensions and a flatter yield curve. Morgan Stanley will give its final compensation expense figures when it reports fourth-quarter results next month. After rising for two consecutive years, most analysts expect the bonus pool for bankers to shrink in 2019 (assuming the economy does begin slouching toward a recession). Because unfortunately for bankers, they are accountable to the shareholding public (i.e. Vanguard, Fidelity and BlackRock). Hedge funds, on the other hand, are only accountable to the remaining LPs still gullible enough to pay 2-and-20 for the privilege of having some of the world's most "sophisticated" investors lose their money.